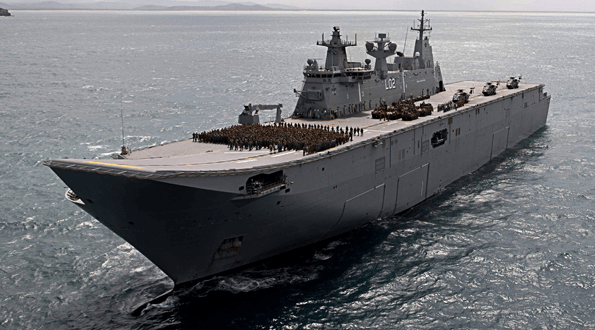 A Canberra class Royal Australian Navy ship needed urgent replacement of its galley floor. Concrete underlayment and ceramic tiles failed, leaving cracked screed and broken tiles. Improper sloping resulted in standing water that penetrated the concrete underlayment, corroding the steel deck. A solution was needed during the next refit period to waterproof from the deck up and prevent future corrosion, while providing proper sloping to galley scuppers and drains. 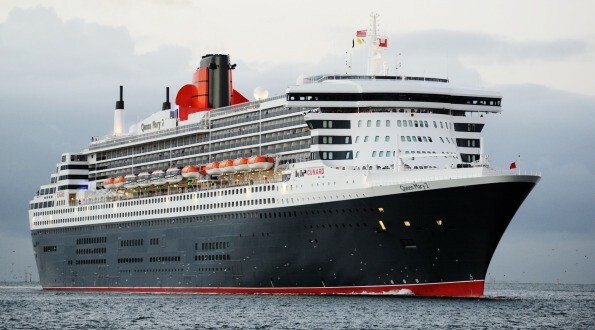 A SynDeck® Ultra Lightweight Underlayment with Anti-Slip full resin system was installed, providing a waterproof, lightweight interior decking solution that drains properly to improve cleaning and maintenance, while flexing with the ship’s movement. A high profile cruise ship needed a decorative and ergonomic flooring system within its medical facilities. SynDeck® products provided a flexible resin system that was easy underfoot. In addition, the system’s fast cure time offered the perfect solution to meet the ship’s tight turnaround times. 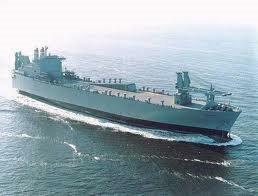 A UK Royal Fleet Auxiliary (RFA) Navy ship needed urgent replacement of all its main walkways and a variety of service rooms. The failed cement and resin systems had been repaired and recoated many times, but a long term solution was required. SynDeck® products provided an ultra lightweight underlayment and full flooring system that reduced the vessel’s weight by 27,000 lbs (12,000 kg) while providing a much more durable, attractive and waterproof solution. The flooring system in the heads of the USNS Cape Edmont’s needed complete overhauling. The existing cement underlayments were cracked and leaking and they lacked adequate sloping to facilitate proper drainage. In addition, the replacement flooring system had to be completed while the crew was still living aboard the vessel. SynDeck® products provided a lightweight underlayment system that installed quickly and properly sloped the floors. Lightweight terrazzo was installed on the underlayment and an anti-slip coat was applied for skid resistance. 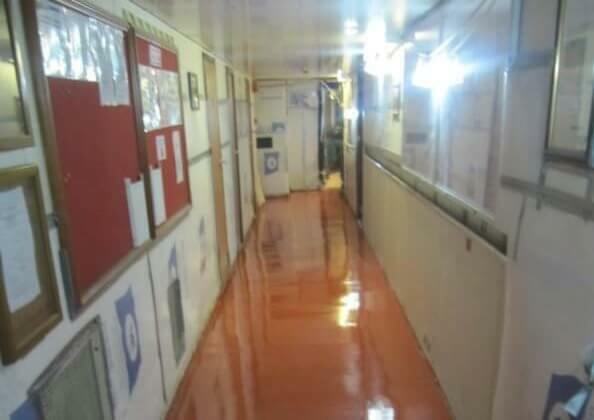 Within only 8 days the new flooring systems were successfully installed in all of the ship’s heads. 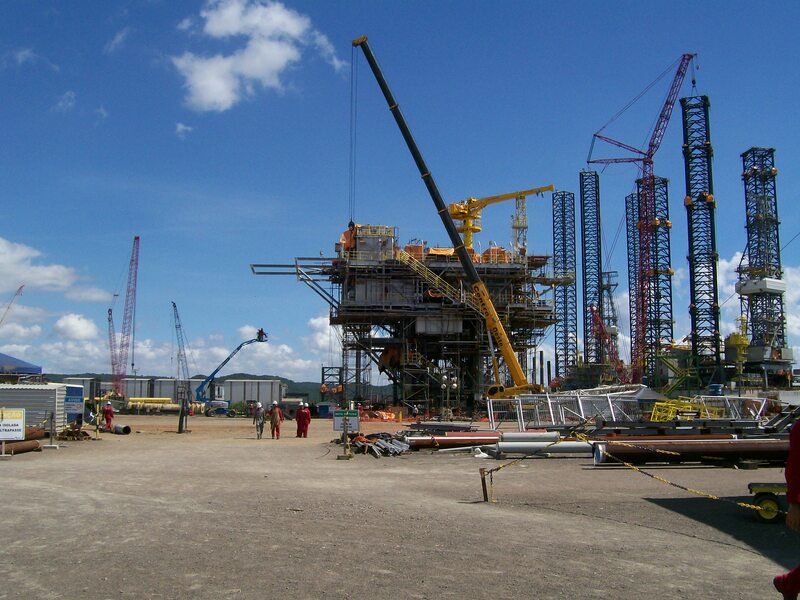 SynDeck® products provided a quick-curing, durable, waterproof system that eliminated rust and protected the steel floors of a South American oil rig. The new build needed an underlayment system that could withstand climate constraints during installation and provide long term waterproof protection to the subfloor. The extreme conditions of the tropical climate significantly limited the installation time frame. The new flooring system’s high compressive strength prevents cracking that would expose the steel sheeting and mineral subfloor to moisture. Shower pans on board ships often sustain damage, which can produce leaks that cause degradation of the steel underneath the pan. Due to short ship turnover schedules and budgetary constraints, full rip out removal of damaged shower pans is not usually an option. 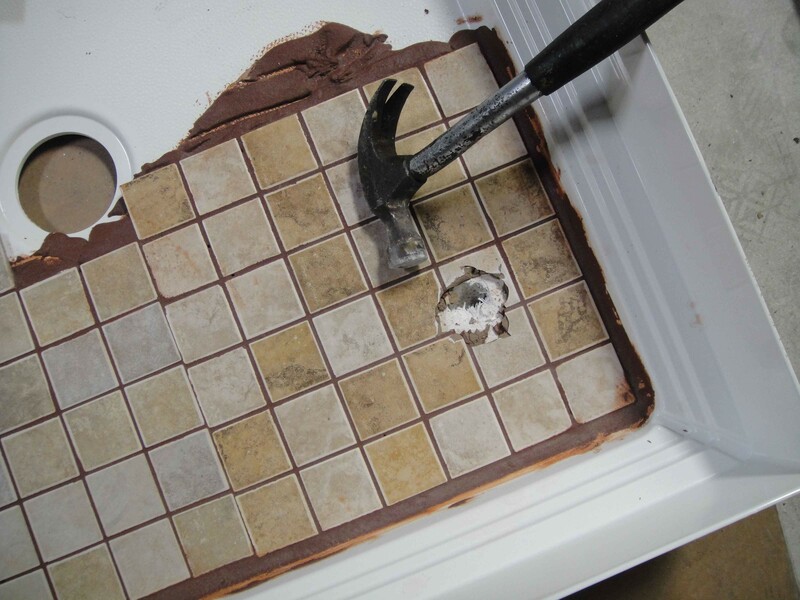 SynDeck® products provide a quick, cost effective repair option that creates a surface with greater structural integrity than that of an undamaged pan.